Recent freezing temperatures up and down the East Coast have many of us longing for warmer temperatures on the course. In this Tip Of The Week, we look at ways you can practice in winter when the weather isn’t always cooperative. While traveling to a warmer climate is an obvious choice, it’s not practical for the vast majority. So, how else can you practice golf in the winter? 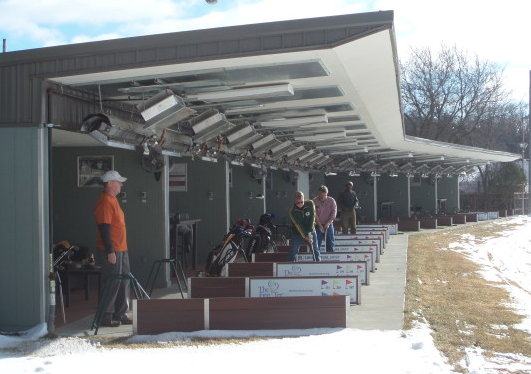 Heated practice facilities are popping up in more locations, especially where it gets cold on a regular basis. Heaters overhead keep you warm as you get your swings in. Granted, you won’t be able to see how your ball reacts if it’s landing in a foot of snow. You should focus on ball flight and work on contact issues when practicing at one of these ranges. If you don’t have a heated range nearby, use a hitting mat with a net to practice full shots and chips. You can set up in the garage or the basement if you have the room. The net protects your house and gives you a target to aim at. Putting mats are also helpful for honing your skills with the flat stick. Indoor putting greens offer the same conditions and break every time, enabling you to focus on your putting stroke and ball roll. 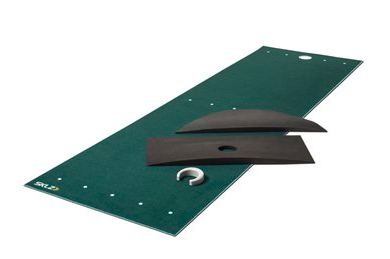 Mats set up easily in an office or hallway, quickly getting you on your way to being a better putter. Improving your putting is the quickest way to lower scores, since you putt on every hole (unless you hole out from the fairway or chip in). For the person who wants to practice on-course situations or who wants to “play” 18 holes, golf simulators are a great choice. These devices include a launch monitor and connect to a device that shows ball flight and stats. 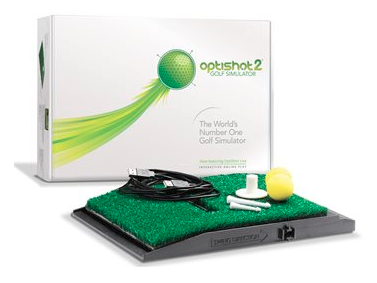 The OptiShot2 Swing Trainer offers playing and practicing options with a library of golf courses that can be done in your basement or anywhere else you have at least an 8 ½ foot ceiling and a computer to hook it up to. The great thing about this model is that you can set up a net to hit real balls into or use foam practice balls and will get accurate results. In addition to these options, a great thing to work on in winter is fitness-related goals. Staying on top of these goals goes a long way towards improving your game come spring time. You can work to add strength, lose weight, or increase flexibility when you can’t make it to the course. 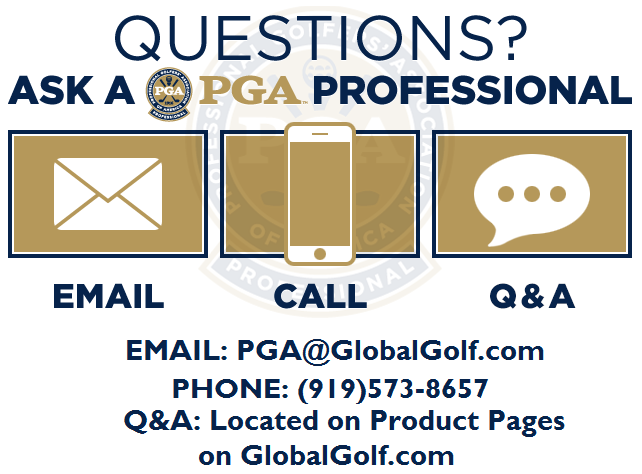 While the chill of winter may close down your local course, there are plenty of ways to practice golf in the winter. Using these tips will keep your game sharp and ready for when the spring thaw hits and it’s time to hit the links again.